Who is the Best Actor of British Tv Series 2018? There are a lot of popular Tv Series in UK Televisions. Some of you liked these series because of outstanding performance of actor in a leading role. We choose the best Actors of British Tv Series 2018 according to your votes. 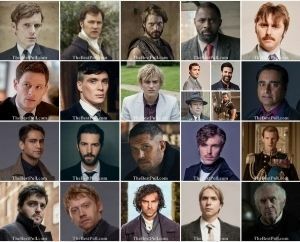 This list is composed of the best actors from British Tv Series 2018. Choose your favourite one and vote! The Last Kingdom is the best show ever made!!! I agree that Aidan Turner is my choice for Best Actor of British TV Series, 2018. I have watched him from the beginning. I do believe all the actors and actresses in Poldark are wonderful actors. I agree that Aidan Turner is my choice for Best Actor of British TV Series, 2018. Aidan Turner is by far the best!!! Alexander Dreymond was amazing in The Last Kingdom. Best acting I’ve seen in a long time. Please add David Dawson who plays King Alfred in The Last Kingdom. He is outstanding! David Dawson (The Last Kingdom) is added. Thanks for your comment. Alexander Dreymon (The Last Kingdom) is added. Thanks for your comment. Aidan Turner is truly a brilliant actor. He brings the character of Ross Poldark alive with energy, beauty, and insight. He is phenomenal in any character or film he plays. Aidan a fantastic powerful actor. Mark Strong is added. Thanks for your comment. add Sam Heughan, Outlander please! Matthew Macfadyen (Howards End) is added. Thanks for your comment.